The recent IPCC report make the stakes of the climate crisis more clear than ever – if we don’t take meaningful action now, climate impacts will become even more devastating. I’m writing to ask the EBRD to revise its draft energy sector strategy to outline a path to phasing out finance for gas. It’s 2018, and using public money to fund the expansion of gas infrastructure is unacceptable. It’s time for the EBRD to meet and exceed the commitments of the World Bank and peer institutions, to stop financing fossil fuel projects, and to chart a path to a clean energy future. It’s 2018, but the European Bank for Reconstruction and Development (EBRD) is stuck in the past. Last month, the Intergovernmental Panel on Climate Change came out with a terrifying new report showing there’s no more room for new fossil fuels if we’re going to avoid frying the planet. Send a message to the EBRD demanding that it listen to the world’s best scientists and stop promoting dirty gas as a climate solution. The EBRD is revising its energy sector strategy for the next five years, and the final draft is schedule to be released by the end of the year. Right now, the draft strategy locks in gas as a part of the bank’s energy plans for years to come. It’s imperative that the strategy at least outline a pathway to move away from gas and towards clean, renewable energy. 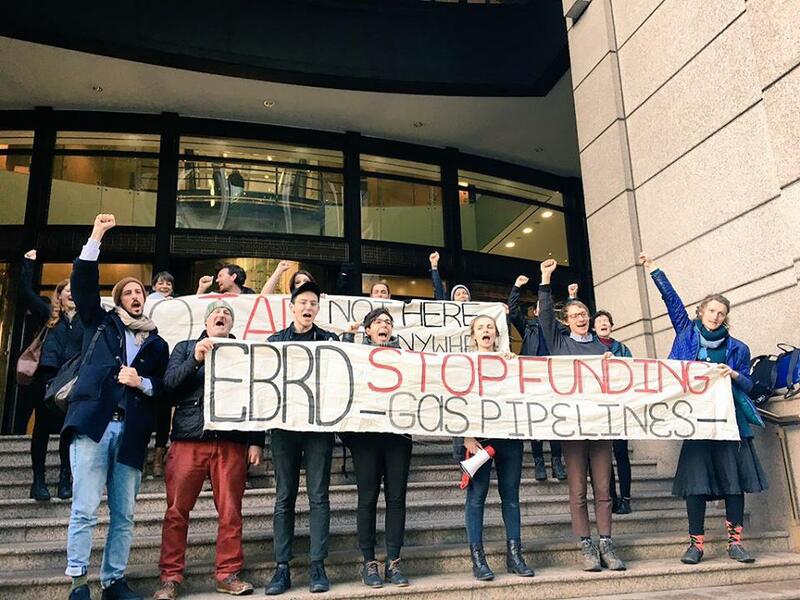 Write a letter telling the EBRD that using public money to finance gas in 2018 is unacceptable. Right now, the EBRD’s strategy isn’t even as strong as the policies the World Bank and other peer institutions have already committed to. The EBRD’s draft strategy is a 2008 strategy masquerading as a 2018 strategy. We need your help so that the bank hears us loud and clear: Fossil gas is a climate disaster, not a solution of any kind.